This picturesque, year-round waterfront home is nestled on the sought after island of Islesboro. 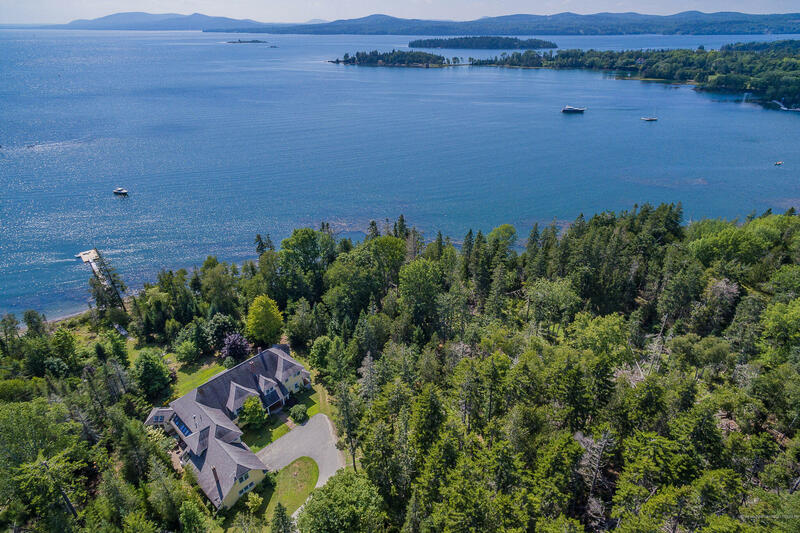 It is privately set on 7+ acres, w/ 650 ft. of varied shorefront, a deep water dock in protected Seal Harbor, and thoughtful landscaping w/ views across Penobscot Bay to the Camden Hills. This home was custom-built to the highest standards, and exemplifies exquisite form and function, allowing for smooth transitions among the gracious formal and casual informal living and entertaining spaces, indoors and out. This home offers a generous master bedroom plus 4 additional bedrooms, some w/ windows seats, a sitting room w/ balcony, covered porch and screened porch, a greenhouse, sunroom, a library w/ wood burning fireplace and hand-built custom shelves and cabinets, living room w/ wood burning fireplace, a formal dining room w/ custom built-lighted shelving, and kitchen w/ an AGA stove. Additional amenities include home office, laundry room, radiant heat, whole-house generator and 2-car garage. 134 Big Tree Lane (MLS #1368551) is a other style single family home located in Islesboro, ME. This single family home is 6,820 sqft and on a lot of 316,246 sqft (or 7.26 acres) with 5 bedrooms, 5 baths and is 17 years old. This property was listed on 12/07/2018 and has been priced for sale at $2,850,000. Nearby zip codes are 04421, 04617, 04642, 04849 and 04973. This property neighbors other cities such as Brooksville, Castine, Lincolnville, Northport and Searsmont. Listing Last updated 01/29/2019 9:30 AM CST . Some properties which appear for sale on this web site may subsequently have sold or may no longer be available. Walk Score provided by Walk Score. Mapping data provided by Google and Bing.